Sweden, home of many very successful technology companies, has a lot to say about how China can be more innovative and successful. Sweden’s unique advantage for global market: its size. Given that the market size is small compared many others, companies are automatically geared towards the global market. This, interestingly, is exactly where Chinese companies have a big problem. Their market is so large that their first consideration is domestic, then global. However, going outward, rather than beginning outward, can be amazingly difficult. This was exactly the topic of the Sino-Swedish Innovation & Entrepreneurship Forum held on November 21, 2016 at the Zhongguancun Yonghe Hanxing Science Park in Beijing. With an entrepreneurial culture tied to the Nordic tradition of solitary living and, some may even say, going all the way back to the Vikings, Sweden and China are at opposite ends of many spectrums. 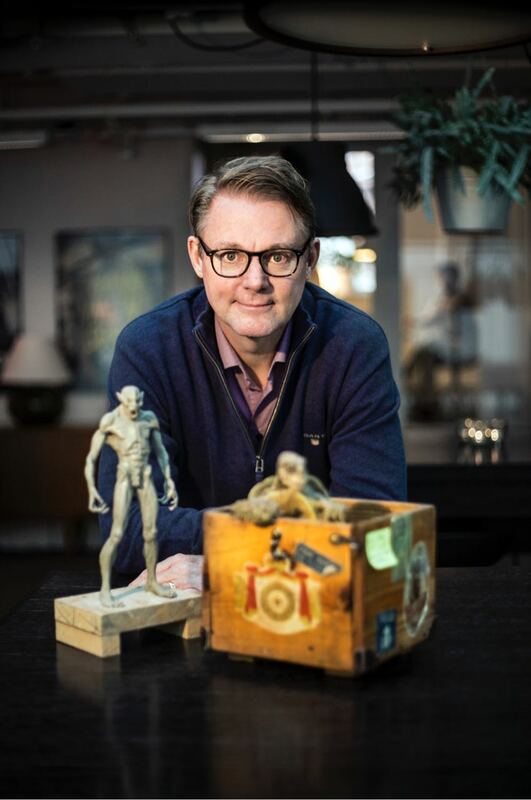 So, to learn more about Swedish entrepreneurial culture, its games industry, and what China can learn from it, we spoke with Peter Levin, CEO of Goodbye Kansas, a VFX, motion capture, and animation company whose studios have been involved in some of the biggest AAA games in recent memory. How did you get started in the games industry? I got started because I was interested in creative people and creative businesses. I’m not that kind of person myself; I’m more of a complement to them. In the late 80s, I started a business that imported and distributed Sega in the Nordic countries. At the same time, I also started working with games studios because that’s where you can create real value: your own IP or educating or developing studios and people. In 1996, I was headhunted to Electronic Arts. How does China fit into your company or your personal vision? Everything we do is trying to act global. When Western people say that unfortunately, they don’t necessarily mean Asia for one reason or another, but adding China and Asia is an amazing thing. I’ve always been challenged by China. The game industry is quite young, about 35 years old. The VFX industry is younger, about 25 years old. Now, those two industries are growing like never before globally. We have two approaches now with China: one is to work with the film and TV industry and then, of course, with the games industry. Sweden has had a number of successes in the games industry over the past decade, in part because of the engineering as art heritage we received from Ericsson and Volvo. What we have developed is skill, responsibility, and transparency that is very different from the development approaches by studios in UK or France, for instance. Now we are seeing the second wave, in the Swedish and global markets, where indie developers can go directly to consumers through online distribution platforms and we want to make sure to be involved in helping Chinese indie developers. How do you see Goodbye Kansas getting more involved with game developers in China? We’ve had Chinese developers and publishers visit us in Stockholm and now I’m here in Beijing. What we talk about is how our game development model is a bit different. We typically own never less than 25% and never more than 50% because we want to encourage studios to feel a sense of ownership. We then support them with resources from our executive producers, our services from VFX and animation companies, all the dull things like bookkeeping, and money. We see Goodbye Kansas as a building bridges with investment going both ways. More importantly, its about exchanging knowledge. We have in our ecosystem, Goodbye Kansas GameInvest, young and senior producers and developers who are looking for more opportunities all around the world. What are some of the challenges you see in trying to be a bridge? From my experience here in China six years ago, there most certainly are cultural challenges, but Swedes are familiar working around these challenges; even in the Nordic region, there are different cultures. Coming to China there will of course be some big challenges, but the challenge is one of the reasons we want to do it: it’s great fun and interesting to get know other cultures. And, with China’s influence in global markets, you just have to bridge that. One big challenge we see are differences in aesthetics; Chinese people prefer much more colorful, flamboyant games. Another challenge is mobile. We don’t do mobile because it’s extremely crowded and we don’t have the skills in house, but that may change in the future with more cooperation with Chinese developers and publishers. What would say Sweden has to learn from China? What do you think China has to learn from Sweden? I think we have everything to learn from a country like China that has grown so rapidly over just a short period. We have a lot to learn from that rapid growth, but also how to manage that growth. The other way around, when I meet Chinese people, they are always so curious how could a country survive, much less be successful in that climate, with only 10 million people in a huge area. Our entrepreneurship started a long time ago, maybe even with the Vikings on how to survive and develop further. And, more recently, we have seen a lot of success stories over the last 10-15 years with one success feeding another. With Swedes being normally quite solitary, we are still very loyal. I believe that the growing VFX industry along with the games industry is a very interesting mixture and fits very well with China. The Chinese film industry is like Klondike during the Gold Rush. Then, of course, there’s AR and VR where China is a bit ahead. We are doing VR stuff as well, but the market itself is not that big yet.